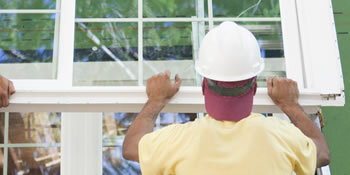 Glaziers cut, shape and install glass for a variety of reasons including windows, showers and mirrors. It’s a very specialist trade and shouldn’t be attempted by an amateur. Glaziers can be required for both domestic and commercial glass installations and whatever your glazing needs; you’ll be able to find assistance from these qualified tradesmen. Why would I need a glazier? One of the most popular reasons for needing a glazier would be to replace a smashed window pane. Glaziers will be able to cut and shape the pane quickly and efficiently to improve your home’s security and ease your mind. Windows and doors are the most common entry points for break-ins and a broken pane is just an open invitation for these potential burglars. Hiring a glazier to replace the broken pane will instantly boost your security, keeping you and your family safe once more. If you have a broken single glazed pane, or even one of the two double glazing panes needs replacing, you’ll be losing heat from your home. Not only is this letting in draughts and making the home colder, but your heating bills will also be higher as your boiler’s temperature is raised. Mirror shaping. Sometimes what you want for your home won’t be available in the shops, so you’ll need to hire a professional glazier to shape the right piece. Whatever your glazing needs, a professional glazier will be able to shape, cut and fit your new glass, causing you as little inconvenience as possible. For up to four FREE glazier quotes, complete our quick form and hear from vetted and reputable local contractors. Project: 2 Replacement window panels due to condensation. Excellent service came out the same day and gave me a quote that is very reasonable,is fitting it one evening when I’ve been to work,very thoughtful. Would recommend this company 100%. No sales pressure only spoke and quoted on what i asked for. Great customer service and continues to give you updates through the whole process. Quality materials and tradesmen that are not sub contracted to the company, they are employed by the company and take pride in their work. Very competitive prices. I didn’t even want a quote from anyone else. Pleased with company. Arranged visit quick to provide quote. Provided affordable quote. Quick,easy and professional 5 star. A simple system that seems to work well but your reputation depends on the companies who sign up to your platform. An easy to use service that took away some of the hassles of searching for companies to quote me.